This inventive husband and wife team are bringing their delicious Fuzzy & May label to Angels, and we're thrilled to bits at Naked HQ! Their unique wines have impressed from day dot when they invited some lucky Naked HQ folks up to their gorgeous cellar door. Damien and Jodie have honed their craft at a wide array of Hunter Valley based wineries - think Brokenwood, McGuigans, Briar Ridge and Wandin Valley. They also picked up amazing old world vintage experience in Campania, Italy. The first ever Semillon the pair produced in 2010 won both best current vintage Semillon and current vintage white wine at the Hunter Valley Wine Show! With Angel funding and support, it's only up from here as they can now access top class fruit & winemaking resources to keep improving year in year out. 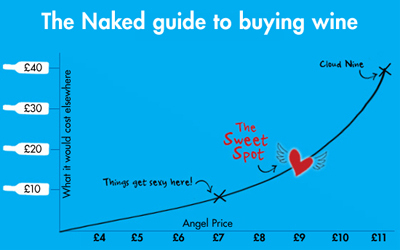 This Naked couple pour lashings of love into their wines! Unlike many of our winemakers, Damien and Jodie honed their craft without a history of winemaking in their family. Instead they've blazed the trail for themselves over the past decade, and what a ride it's been. Having spent years on the flip side of the industry in high end hospitality around the world, Damien and Jodie know first hand the importance of true quality in wine as well as the proximity of it's source to those that will drink it. Before kicking off their own brand Hart & Hunter in 2009, the pair got some impressive vintage experience under their belt. They covered some of the Hunter Valley's great wine producers; Brokenwood, McGuigans, Briar Ridge, Wandin Valley, and a few vintages overseas including Campania, Italy. We are thrilled to have this talented duo on board at Naked HQ in 2016 with their new label Fuzzy & May, a dedication to their children. To think that the first ever Semillon they produced in 2010 won both best current vintage Semillon and best current vintage white wine at the Hunter Valley Wine Show is enough to make our mouths water! They've been awarded an additional 9 trophies and a further 23 gold medals for their wines, a huge achievement for such a small company over the space of just five years. 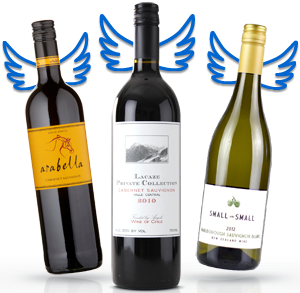 Thanks to Angels, this family are looking ahead to an even brighter future as Aussie winemakers! Angel funding has given them the opportunity to work with fruit from exceptional vineyards they otherwise couldn't access. The pair thrive off the challenge of constant change, adapting to the vintage conditions to ensure the wines reflect the quality of fruit that they begin with. No two years are ever the same! Damien and Jodie love their unique position in the Hunter and bounce off each other's creative energy, an essential ingredient from day one of the growing season all the way until the wine hits your lips! Damien and Jodie still can't believe their luck with the sensational two-way communication platform that is the Naked website. The ability to interact quickly with real people out in the real world drinking their very real wines for feedback, reviews or just to say thanks, means the world to them! They can now reach out to a wider audience and winemaking community to ensure Fuzzy & May wines are always full of the best techniques and innovation the Hunter has to offer, making Mother Nature's beautiful grapes really sing.